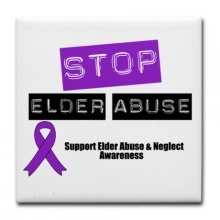 Elder abuse and neglect occurs within a relationship of trust. The victim and the abuser are people who know each other well. Often the abuser is a member of the older person's family. Abusers can also be people employed in positions of trust – residential facility staff or paid carers. We believe that concern for community wellbeing is part of the ‘core business’ of local government. We will all suffer if local bodies stop caring about people. At least one-third of older New Zealanders are involved in voluntary work, te mahi aroha, bringing valuable life experience and skills. Sixty minute classes are held each week for people 65+ in a variety of venues in Wanganui, Marton, Hunterville, Ohakune, Raetihi & Bulls.